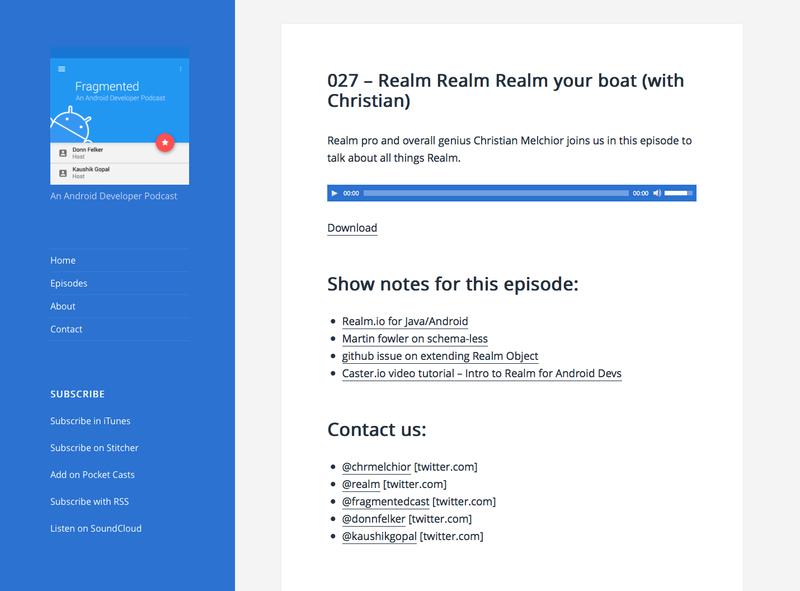 Christian Melchior, of our Java team, was a guest on the latest episode of the Fragmented podcast to talk about the latest at Realm. Listen to the whole episode for more! Thanks, Donn, for having Christian on!